Bastion servers are a critical security component in a network configuration, they are essentially robust computers coupled to a proxy service and antivirus and anti-malware. Other security metrics in a network configuration rely on its data, so it’s an element that must be protected. However, Joshua Kite observed several deficiencies that can cause at-scale deployments of bastions to unravel. The traditional approach “simply doesn’t scale,” he says, leading to dreadful security risks. Joshua realised that cloud-native platforms could benefit from providing bastion SSH as a stateless service on AWS with identity access management (IAM). Even though people are hesitant to use SSH in the cloud, there are always occasions where you need it, he says, especially in development with databases. A solution of this kind was a natural fit for new sporting streaming service DAZN, where the theme is building stateless microservices and using hosted services for holding state. By exploiting AWS IAM, the DAZN team could also benefit from not having to manage identity management for its own services. “This is something that I brought with me to DAZN, at an early and immature stage,” Joshua says. Joshua took his proposed solution to his managers and directors, who then nurtured Joshua’s vision. After a short but intense period of development, they were able to deploy at an early stage. The key to enabling the final solution was an unorthodox use of docker containers. People don’t normally expect to use a docker container interactively, but Joshua’s critical insight was that he could use them to allow every DAZN user to have their own little server, just for them, unique for that session. One of the biggest challenges of deploying his solution at scale was culture. Subversions of traditional approaches are often met with resistance and inspire misconceptions, and the “bastion server that isn’t there” as Joshua likes to call it, jarred people because its style was so different to what people are used to. Although the instance size and speed on the cloud hosts didn’t prove an issue (as they often do) the team soon found that they were maxing out their IAM limits. In part, because they were also using another identity solution, from the Widdix project, for their cluster hosts. As it also hooked into IAM, before they knew it the volume of IAM queries coming in their direction was untenable. The code is now available on GitHub and the Terraform Module Registry under an MIT licence. It has been in production for a year at DAZN with entirely automated deployment. The lessons Joshua draws from his experience with the “phantom” bastion server are familiar. Don’t follow the same grooves etched by your predecessors; consider the lesser known powers of well-used tools, like docker containers for instance. “I think that these are just as true today, almost 800 years later,” he says. Join me at DevOps Live. Joshua is presenting at DevOps Live, taking place at ExCeL London March 12-13th. 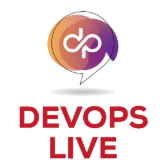 DevOps Live and its colocated events attract over 20,000 IT industry professionals. Google Cloud Next 19: Disruption to the public cloud market, or AWS as usual?